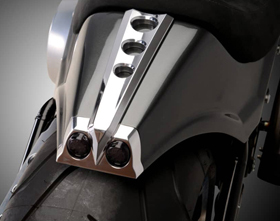 Our Universal Fit Motorcycle Fluid Reservoirs can be mounted on any custom bike. 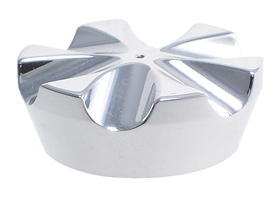 They can be used as brake fluid reservoirs or as hydraulic clutch oil reservoirs. 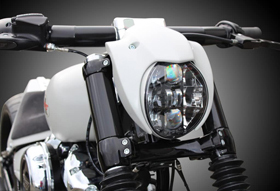 These motorcycle fluid tanks are the coolest thing on the market! 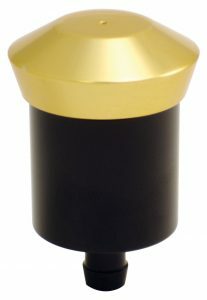 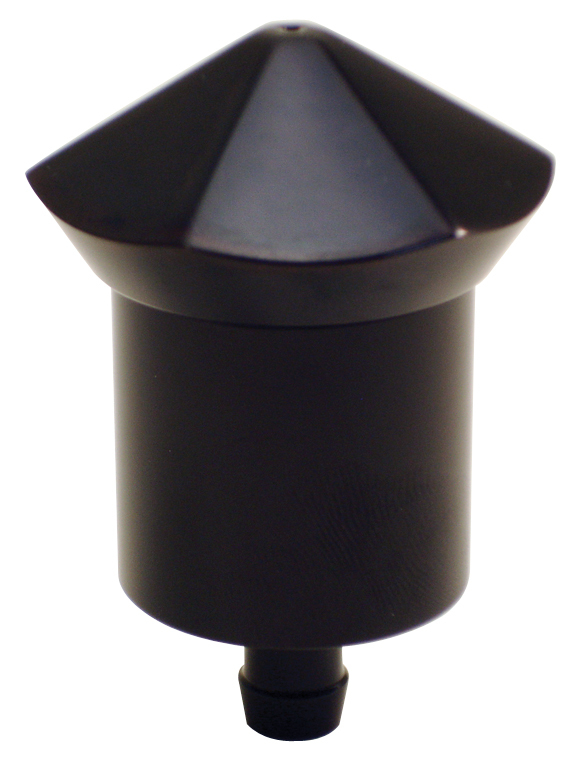 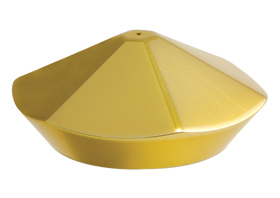 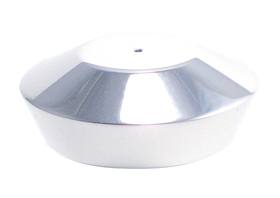 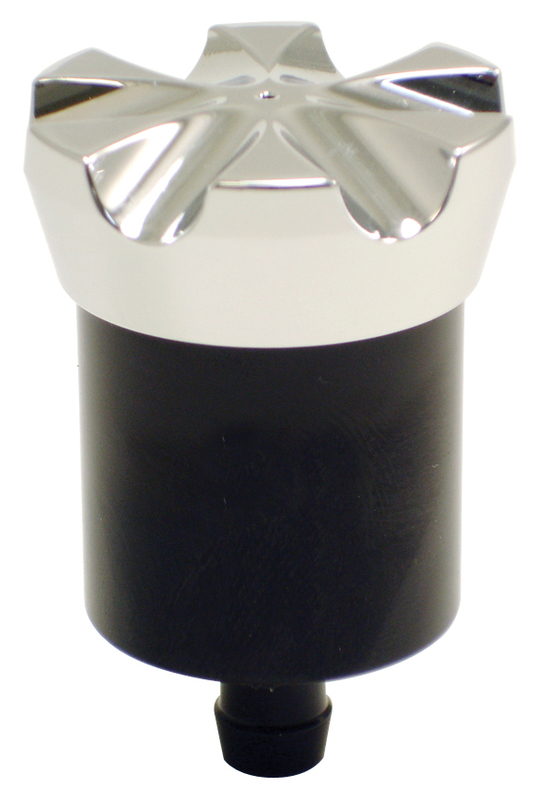 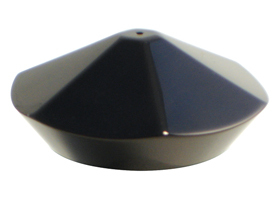 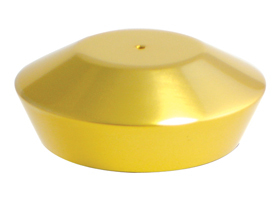 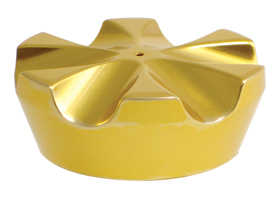 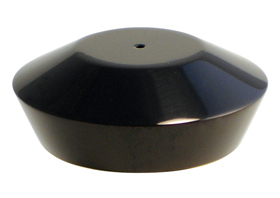 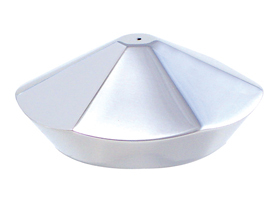 You can personalize them with a choice of 3 different reservoir cap designs: Smooth, King and Bling. 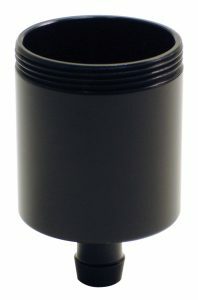 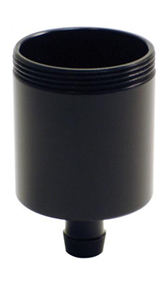 These black anodized billet aluminum fluid tanks are the final touch for your custom motorcycle. 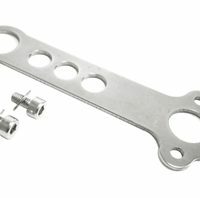 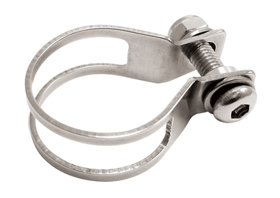 Specific brackets are available for handlebars or foot controls mounting. Please note Reservoir Caps and Mounting Brackets are sold separately.